Can An Insurance Billing Delay Hurt Your Credit? Know your rights. Many states require insurance companies to pay in a timely manner. Known as Prompt Pay laws, they protect consumers by outlining when your provider must cover a medical claim. For example, North Carolina providers have 30 days from the day your claim is received. Research the laws in your state. Use the tools available to you. Contact the insurance company. A payment delay could be the result of a miscommunication or shift in company policy. Contact the insurance company and ask for more details. Speak to a supervisor or manager if you cannot get answers. Create a paper trail. Verbal confirmation of coverage isn’t enough to protect your credit. Tell the insurance company you need a written record of their policies and how they intend to manage the claim. Request the copy on the company’s letterhead with a date attached. Request an emailed copy as well. Creating a paper trail allows you to prove your correspondence with the insurance company in case the claim is not paid on time. Consider paying your bill. Although the debt is not legally yours, the credit bureaus are not aware of the situation with your insurer and can only report the information they receive. Translation: A late payment is a late payment. Consider covering the bill yourself until the issue is resolved. Most insurers offer installment plans, allowing you to avoid paying the entire balance. Ask the customer service rep to place a note on the payment, citing the company’s failure to cover the claim, and request email confirmation. Keep copies of these records as you move forward. Work with a professional. Escalating your claim sometimes requires the help of a professional. If your insurer is dragging their feet, talk to our attorneys who specialize in credit cases to protect your credit before it is damaged. Insurance is meant to provide protection, not cause harm. Be proactive and allow the law to work in your favor. 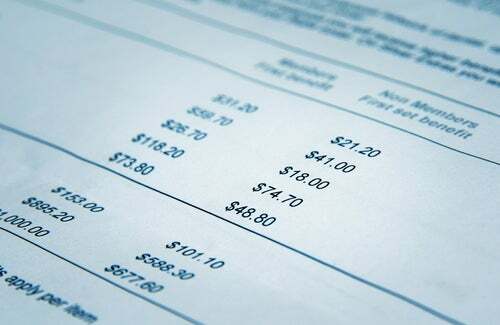 Learn more about the impact medical bills can have on your credit, visit our site for information about Lexington Law Firm’s medical bills focus track.